Anti-static brushes are tools that provide manufacturers of electronics and static charge-sensitive products with electrostatic discharge. What is static charge? Simply put, static charge, or static electricity, is a phenomenon that is generated between materials by friction, pressure or the separation of two materials. Anti-Static Brushes Anti-static brushes are tools that provide manufacturers of electronics and static charge-sensitive products with electrostatic discharge. What is static charge? Simply put, static charge, or static electricity, is a phenomenon that is generated between materials by friction, pressure or the separation of two materials. Anti-static brushes are made from low-charging materials and natural bristle materials that sit near neutral on the triboelectric chart. These materials neither give nor take electrons, thus remaining essentially electronically neutral. Sometimes, however, a slight charge can still materialize. If the application at hand exists in an extreme voltage situation, anti-static brushes with such a charge should only be used in a liquid environment. Natural bristle materials include wood, hog bristle, horse hair, camel hair, ox hair and goat hair. 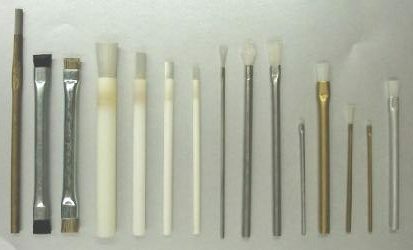 A brush with these materials may be used in an electrostatic discharge (ESD) sensitive area as long as the brush remains in a liquid environment. 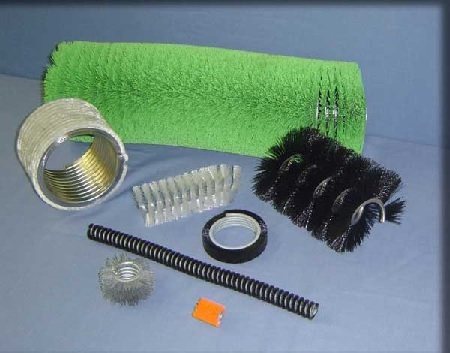 Other materials from which anti-static brushes can be made include brass, stainless steel, carbon, anti static nylon, conductive nylon or high density nylon. 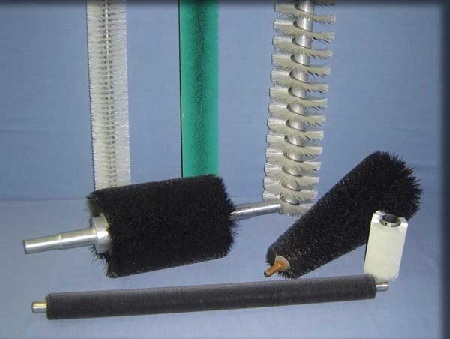 Custom anti-static brush fibers are available in numerous length and densities. In order to maintain and lengthen the lifespan of a brush, it is best to use the softest fill material appropriate for a job. Anti-static brushes are helpful because many equipment issues, like material flow interruption, are caused by static electricity problems. Anti-static brushes can be customized or bought from a standard stock line. Standard anti static brush types include: applicator brushes, strip brushes, vacuum brushes, aluminum handle brushes, hand laced brushes, plywood handle brushes, curved wood scratch brushes, long handle brushes, flat scrub brushes, wood block brushes, rectangular block brushes and upright brushes. Out of this list, the most popular anti static brush styles resemble a toothbrush, pencil or acid brush.